When my son was very small, being in the dark didn’t bother him in the least. 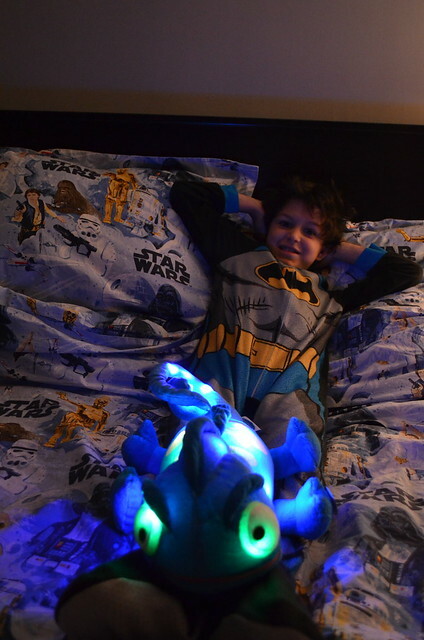 Around age three that all changed and he insisted on having a night light. We weren’t totally opposed to having one, but it wasn’t ideal since he really only needed it on to fall asleep and by morning it was light out. It seems like a waste of energy to have a light on all night and most sleep experts recommend a dark room for a good night’s sleep anyways. I have been a fan of the company Cloud b for a long time now. I bought their portable white noise machine (the Sleep Sheep) and it was very handy when I knew we would be out and about and needed the consistency of white noise while my son napped. Charley’s music is soft and unobtrusive and my son quite liked the tunes. He loved that the lights are different colours as they transition through or strobe. I personally appreciate that after the 45 minutes (more than enough time for your kiddo to fall asleep), Charley shuts off, saving battery life. He does require 3 AAA batteries, which are included. I plan to switch over to rechargeable batteries once the included ones die to save on battery costs and for environmental reasons. 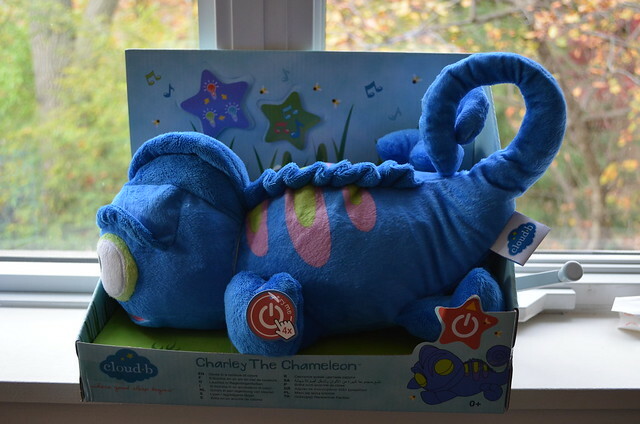 Since Charley is a soft plush toy he is rated from birth and up. For safety reasons, for babies under age two I think it would be best for Charley to sit beside the crib, but once your child has graduated to a toddler or big kid bed they could keep Charley in bed with them and have him to cuddle while they fall asleep. Since Charley is completely gender neutral, he would make a fantastic present for any girl or boy or even for somebody expecting a baby. I know my son would have been thrilled to receive Charley this year for Hanukkah or Christmas. At a reasonable MSRP of $39.95 CDN (but can be found for less online), add Charley to your holiday gift giving list this year and make a little one in your life very happy this holiday season. I received a sample of a product to facilitate my review. No other compensation was provided and all views and opinions stated on this post are 100% my own. I love this! It reminds me of the Glow Worm I use to have when I was younger. I think my son would love this because he’s currently a bit scared of the dark. The chameleon is new! And a great animal choice for cloud b! Love it! 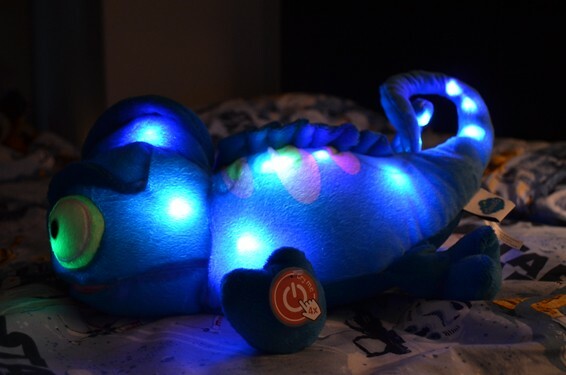 I think these are such a great idea, a real comfort toy.